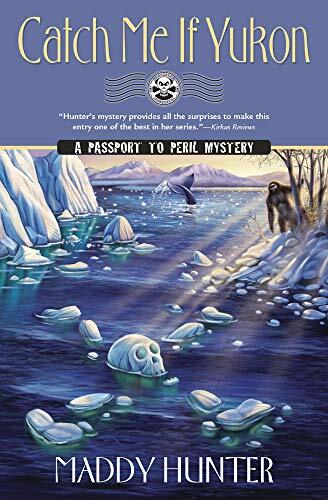 Scot & Soda is a humorous fish-out-of-water tale and the second in the Last Ditch Mystery series. Lexy Campbell is a Scottish therapist in rural Northern California. During a small Halloween party on her houseboat home, a body is found caught on the rope holding the party’s cold beers in the slough, or swamp, where the houseboat was parked. The shooting victim had a tam o’shanter stapled to his head so it was hard for Lexy not to take it personally. 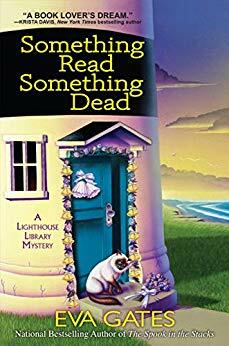 With the help of her odd friends at the nearby “Last Ditch” motel, Lexy can’t help but investigate especially when a ring seen on the body in the slough is missing after its retrieval. 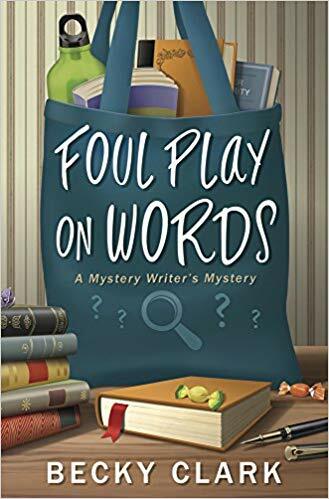 The characterizations of the unique denizens of the hotel are varied and refreshingly different from the usual cozy mystery sidekicks. 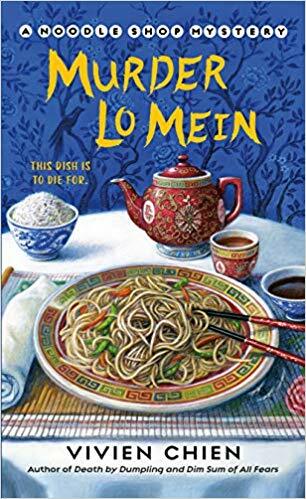 As a matter of fact, this wacky tale seems almost like a cross between a cozy and a Serge Storm novel. However, the mystery followed a convoluted course with a dearth of clues until right before the conclusion. 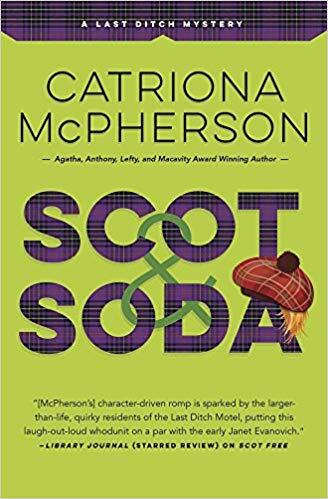 The witty one-liners and unusual characters helped raise Scot & Soda to 3 stars despite the disappointing mystery. 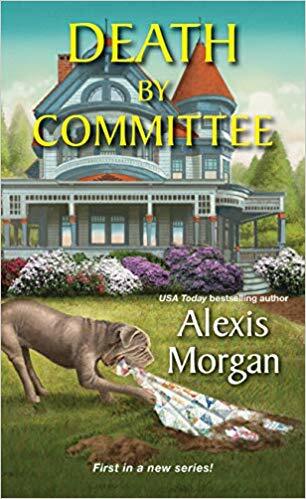 Death by Committee is a cozy mystery that emphasizes romance and quilting more than sleuthing. Abby’s recently deceased elderly Aunt Sybil left her a house. Abby hires several goats to eat some overgrown foliage in the backyard. One goat uncovers Dolly, Sybil’s rival, who is buried in the backyard in Sybil’s quilt. When the town, including the police chief, rush to assume Sybil is a murderer, Abby vows to clear her Aunt’s name. Luckily, she will have the help of her boarder, the hunky Tripp. I enjoyed the relationship between Abby and Tripp. They both seemed genuine. The mystery within Death by Committee was a bit too easy to solve making this book a better choice for romance fans. 3 stars. Pleasurable cozy read set in the world of yoga, infertility, and homeless teens. Murder Likes It Hot is a good choice for a late night book reading session. Kate owns her own business, Serenity Yoga. She and her newlywed husband Michael, who owns a pet store, are having infertility issues. They need money for ivf so Kate takes a part-time job at the teen center teaching yoga once a week to troubled, mostly homeless, teens. While there, she meets Rainbow, a young runaway, who comes to Kate’s house for help. Kate only allows her to stay if she gives her the gun that her stepfather alleged she stole from him. When she hears Michael insist on calling the police, she flees taking her gun. The next day, Kate looks for Rainbow at the teen center but instead finds the police investigating a staff member’s death from a gunshot wound in the chest. When a gun looking suspiciously like Rainbow’s is found behind the center’s dumpster, the police suspect Rainbow for the murder. Kate feels obligated to clear Rainbow’s name by solving the crime. 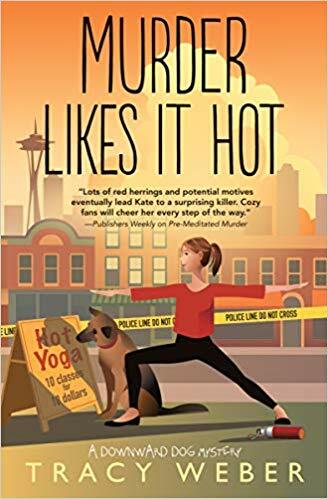 Murder Likes It Hot is an enjoyable evening cozy read. The characters all have clear motivations. Most seem like they would be good friends in real life. 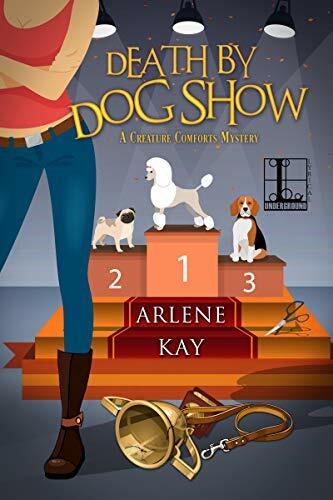 This is the sixth book in the Downward Dog Mystery series. However, this entry can be read as a stand-alone. 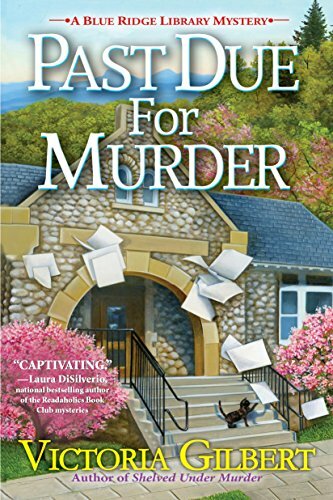 I reviewed the previous book, Pre-meditated Murder, and rated it 3.5 stars. I liked it slightly better than this entry as this one doesn’t have the humor of the previous entry. Still it is recommended and rated 3 stars. Thanks to Midnight Ink for an advance copy in exchange for an honest review. 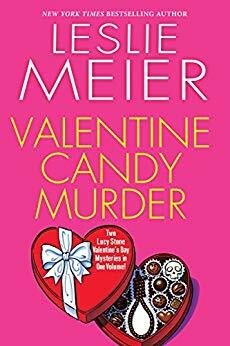 Two Lucy Stone novels, Valentine Murder #5 originally published in 1998 and Chocolate Covered Murder #18 originally published in 2012, are combined in Valentine Candy Murder. Two weeks before Valentine’s Day, Lucy is attending her first library board meeting. When she goes to the basement looking for Bitsy, the librarian, she finds her shot dead. The police suspect the board members and Lucy investigates to remove her own name from suspicion in Valentine Murder. Nine years later in Chocolate Covered Murder, Lucy is once again thrust into a murder investigation. Max is found drowned in an iced over lake surrounded by fishing line. He has a head bruise but the coroner rules it an accident. Lucy disagrees and investigates. Valentine Murder seems incredibly dated now. It spends a lot of time talking about a newfangled contraption called a computer. The book never mentions a time frame but I would assume early 1990s. The second book is set so much later that her pre-school age daughter in the first book in now in eighth grade. I think it would have better to add an introduction to each of the books to set the stage. 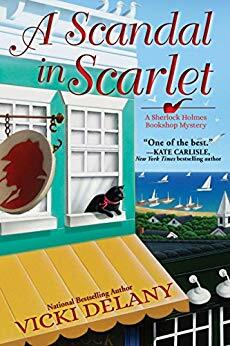 However, both cozy mysteries are well worth the reader’s time. 4 stars! Thanks to Kensington Books and NetGalley for an advance copy in exchange for an honest review. Senior moments, travel mishaps and murder meet in Catch Me if Yukon. Husband and wife team Etienne and Emily run Destinations Travel, a senior tour group out of Iowa. This trip is a twelve-day Alaskan bus tour. Along with their twelve regulars are seven new travelers from the same Iowan bookclub. It doesn’t take long before Bigfoot is spotted and one of the group is murdered, possibly by Bigfoot. The feisty old ladies make for a humorous ride. It is nice to get a free travelogue along with your cozy mystery. My only complaint was that the conclusion was wrapped up a little too quickly for me. Catch Me if Yukon is an enjoyable cozy mixing senior humor and travel. 3 stars. Thanks to Midnight Ink Books and NetGalley for an advance copy in exchange for an honest review. 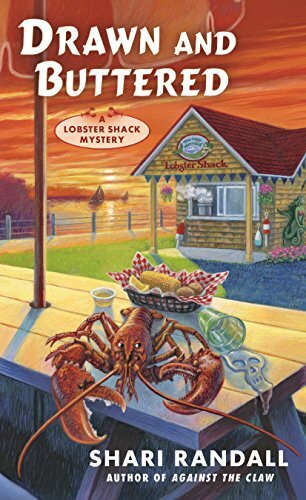 When there is a Murder at Harbor Village, everyone is a suspect in this new cozy mystery series. Cleo Mack is offered a golden parachute to retire early from her Social Work professorship at an Atlanta university. She decides to move to Fairhope Alabama, recognized as one of the best retirement towns. 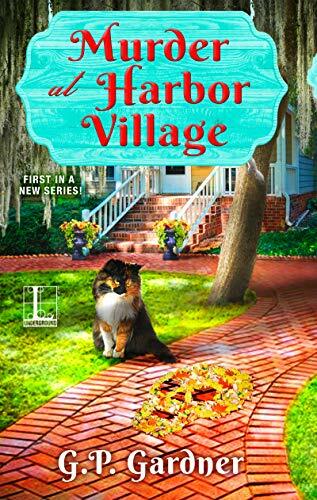 Cleo quickly gets a job and apartment in Harbor Village, a retirement community. The weekend before starting her new job the little seen corporate bigwig, Lee, is found dead of apparent drowning in the resident’s indoor pool. Cleo is surprised to learn that her long ago ex-husband, Travis, married Lee a month earlier. When Lee’s sister, Jamie, leaves her Director job the day after the murder, Cleo is made acting Director. Police Chief Boozer soon discovers that Lee was bludgened to death. As the one to benefit the most by inheriting his wife’s considerably wealth, Travis is suspect number one. Cleo decides to investigate to clear Travis’ name. The characters in Murder at Harbor Village were genuine. Cleo would make a good friend—helpful and intelligent. However, I found it difficult to get over the many unbelievably coincidences in the novel. Cleo kept meeting random strangers in Fairhope that all had a connection to Harbor Village. Her new boss married her ex only a month earlier? 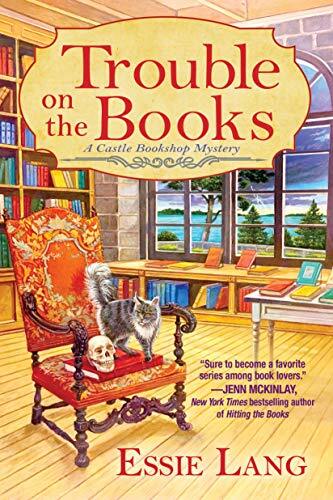 Still I liked the characters enough to read the next in the series, Murder at Royale Court, coming out in June 2019. 3 stars. Thanks to the publisher, Lyrical Underground, and NetGalley for an advance copy in exchange for an honest review. 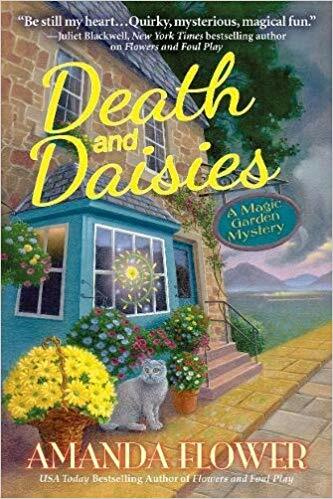 Death and Daisies is the perfect blend of mystery, romance and paranormal with believable characters you wish you could befriend in real life. Visit the garden as much as possible to cement your connection to it. Care for the garden like any other garden. Touch the stone menhir to learn what the garden wants you to know. However, you may see things you don’t want to know. Fiona’s sister, Isla, visits to help open Fiona’s flower shop. The day before the grand opening, the local minister threatens Fiona in person. The next morning Fiona finds a hostile note from the minister stuck in her door. During the grand opening, the handsome Chief Inspector Neil finds the note. When the minister is found murdered, suspicion falls on Fiona so she decides to find the killer to clear her name. Good thing her best friend in town, Cally, is also a lawyer. Though Death and Daisies is the second entry in the series, it can easily be read as a standalone. It is highly recommended for cozy readers looking for authentic characters, an unusual setting and a good mystery. 4 stars! Skeleton Makes a Friend is another fun romp with Georgia and her animated skeleton Sid. Adjunct Professor Georgia gets a summer job teaching writing to high school students in a prestigious, but rundown, New England college. The job comes with a three bedroom cabin perfect for Georgia, her teenage daughter, Madison, and her best friend, Sid. A teenage girl named Jen comes to the cabin looking for her online gaming friend who is a detective IRL. It doesn’t take long for Georgia to figure out she means Sid. Jen states that one of their online group has been missing for over a week. Unfortunately, she only knows him as Erik Bloodaxe, his gaming name. Sid eventually convinces Georgia to help him find the real Erik in the college halls. When mysterious events start occurring, only the amateur detective team of Sid and Georgia can ferret out the truth. I missed Sid, Georgia and Madison. After reading and enjoying the first two books in the series, I must have missed the next two. I snapped this one up when I saw it on NetGalley. It is amazing how useful an animated skeleton is when investigating crime. With no fingerprints, no need for sleep, and more than a lifetime of knowledge, Sid is an extremely good detective. It is surprising how much a skeleton can feel like a genuine member of the family. The antics of Sid make for an amusing afternoon of reading. 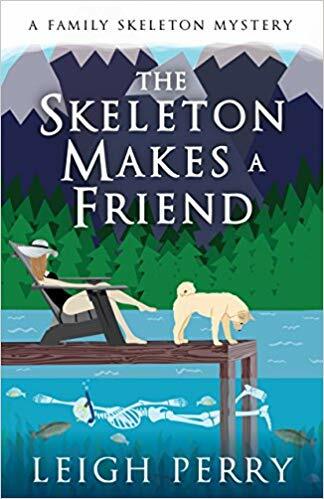 Skeleton Makes a Friend, as well as the other books in this series, are recommended to any cozy readers willing to suspend disbelief in animated skeletons for a few hours. 4 stars! Thanks to Diversion Books and NetGalley for an advance copy in exchange for an honest review.